We designed and installed this gorgeous sliding automated gate in Thornton Lancashire this week. It has a heavy duty twisted bar design (all hand made) to give it a real contemporary feel. 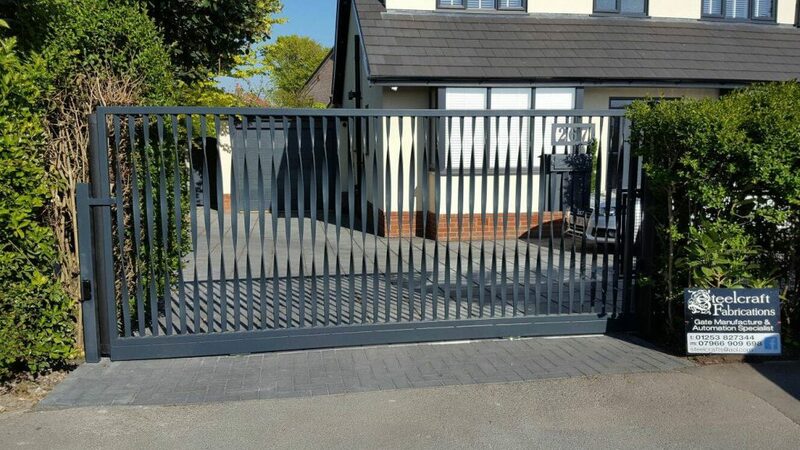 The gate is galvanised with anthracite grey powder coat finish. It has a bespoke handmade letterbox incorporated into the design and is operated by an audio wireless intercom system.